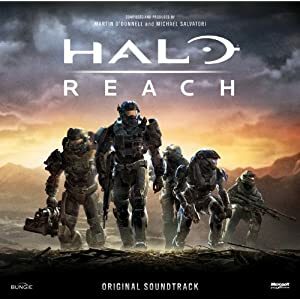 As you would expect, given how hungry Halo fan's are for Marty and Matt's music, Halo Reach has it's own sound track available for sale on Amazon . Amusingly Amazon's product description says; "Halo Reach is the story of Noble Team, a squad of heroic Spartan soldiers, and their final stand on the planet Reach, humanity's last line of defense between the terrifying Covenant and Earth." and makes no reference to the music. I guess it's supposed to speak for itself? Buy it from Amazon here .